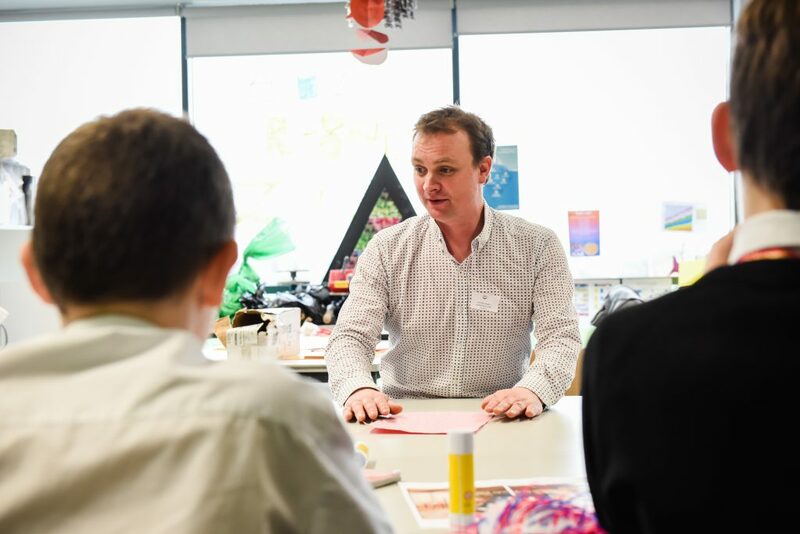 BALTIC worked with 2 mixed ability groups of Year 7 students from Northumberland Church of England Academy, Ashington (NCEA) and writer in residence Stevie Ronnie. The stimulus for this project was a major exhibition of the experimental work of the Canadian artist Rodney Graham. 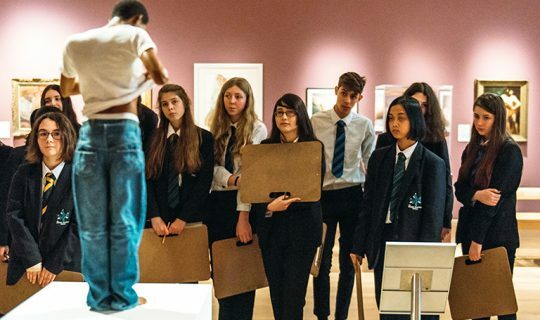 The project with the NCEA pupils was particularly bold because it took place in advance of the exhibition arriving at the BALTIC; actually encountering the artist’s work in the space was an endpoint for the project rather than a stimulus. 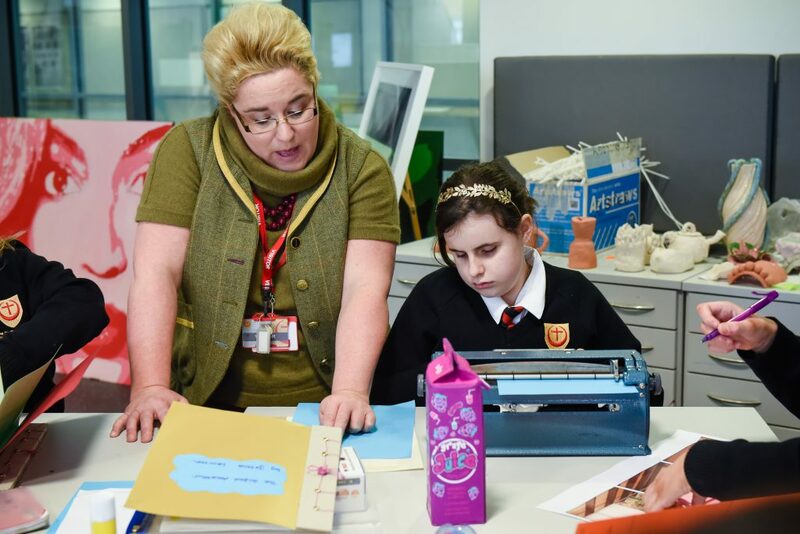 One of the pupils involved in the project was 13 year old Jessica, who has no vision other than light perception due to a rare genetic condition. 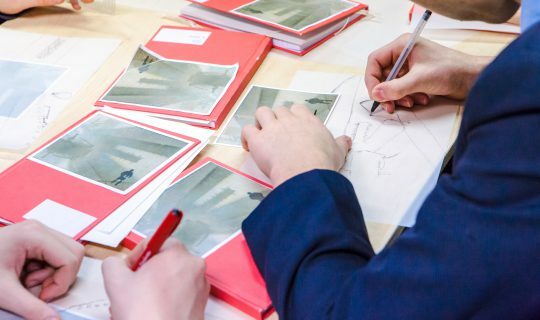 Planning sessions placed her at the centre of the process from the outset, and a ‘PenFriend’ assistive technology enabled Jessica to create her own audio labels and record her own responses. Jessica was also able to take part in the recording of the pupils’ responses to the exhibition. 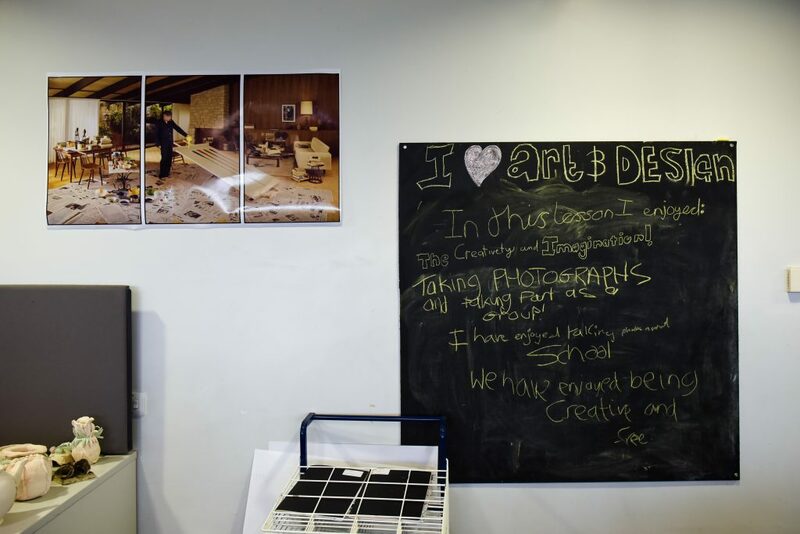 These were turned into a sound installation at the BALTIC as part of an initiative to encourage new audiences. Stevie’s own interactions with Jessica influenced what he produced as part of his residency commission: the poetry pamphlet Self Portrait as Someone Else and an artist’s book containing two poems set in Braille. 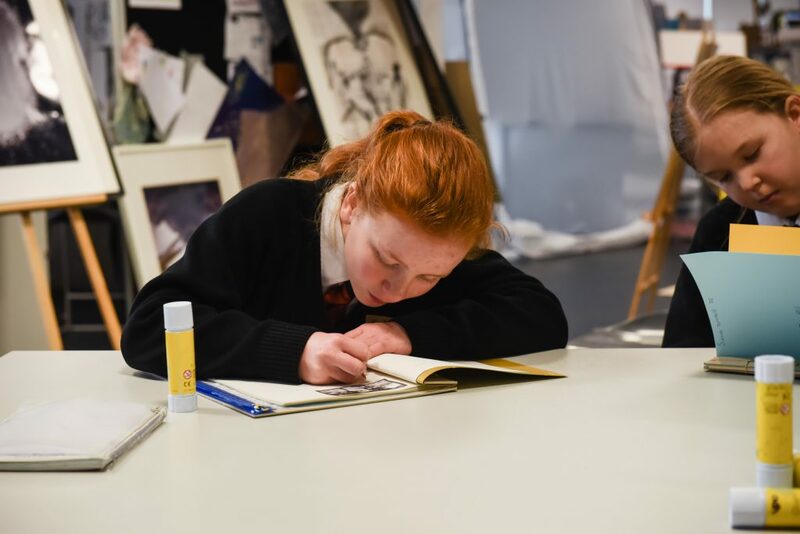 The commission was an important part of the project for the writer; providing an opportunity to combine creative practice with the engagement that took place in the school and the gallery. 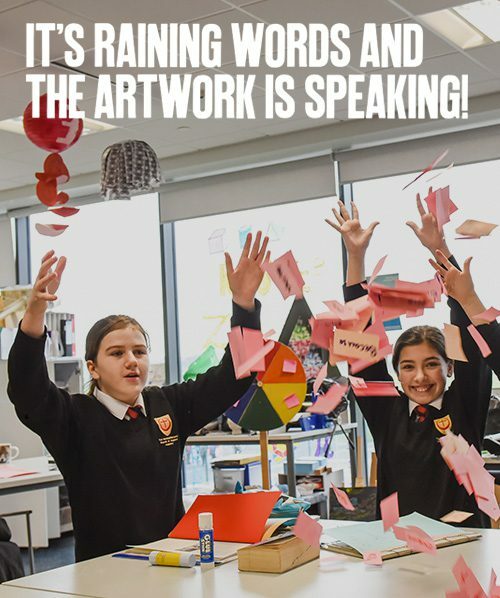 Want to explore a creative approach to literacy?